Ride the Machine: Youtube: Love Tricycle-an animated bicycle love story. 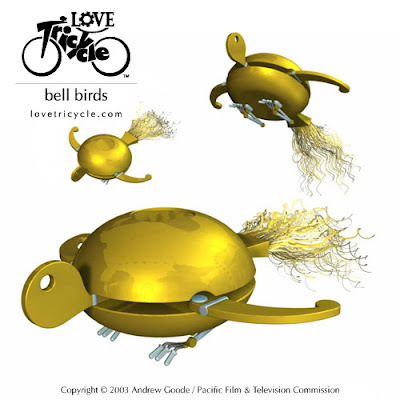 Youtube: Love Tricycle-an animated bicycle love story. I like that these look like yo-yos too. Bird-yo-yo-tops is a great idea.